“Governments possess extraordinary powers. But at the end of the day, there are more of us than there are of them." Photo: citizenfourfilm. Jan Philipp Albrecht, vice-chair of the EP civil liberties committee and rapporteur for the EU’s general data protection regulation, invites to a discussion with the lawyers of Edward Snowden, Wolfgang Kaleck and Ben Wizner. How are Snowden’s chances for returning to the United States or getting protection in the EU? Unfortunately it is not possible to register for the event anymore. There will be a live stream on Facebook and Periscope for everyone who would like to follow the discussion on the internet. Since the former CIA analyst and NSA contractor Edward Snowden informed the public about the massive surveillance by American and European intelligence services in June 2013, quite a few things have happened. On 29th October 2015, the European Parliament adopted a resolution on the electronic mass surveillance of EU citizens as a follow-up to its inquiry in 2013. 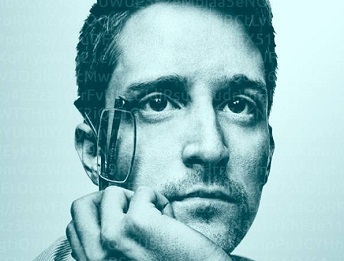 In this resolution, the EP called on EU Member States “to drop any criminal charges against Edward Snowden, grant him protection and consequently prevent extradition or rendition by third parties, in recognition of his status as whistle-blower and international human rights defender”. In Germany, after two years of legal struggles, the federal administrative court decided in November 2016 that hearing Edward Snowden before the parliament’s inquiry committee cannot longer be blocked. The sad truth however is that in the EU, neither surveillance measures by member states nor intelligence cooperation with the Unites Stated have been significantly reduced. Wolfgang Kaleck Berlin-based lawyer Wolfgang Kaleck represents whistle-blower Edward Snowden in Germany. Kaleck is a lawyer specialised in European and international criminallaw and human rights. In 2007 he co-founded the European Center for Constitutional and Human Rights, a non-profit human rights NGO based in Berlin, and has served as its secretary-general since then. Ben Wizner Civil liberties defender Ben Wizner has been Edward Snowden’s lawyer in the Unites States since 2013. Wizner is director of the „Speech, Privacy, and Technology” project at the American Civil Liberties Union (ACLU).